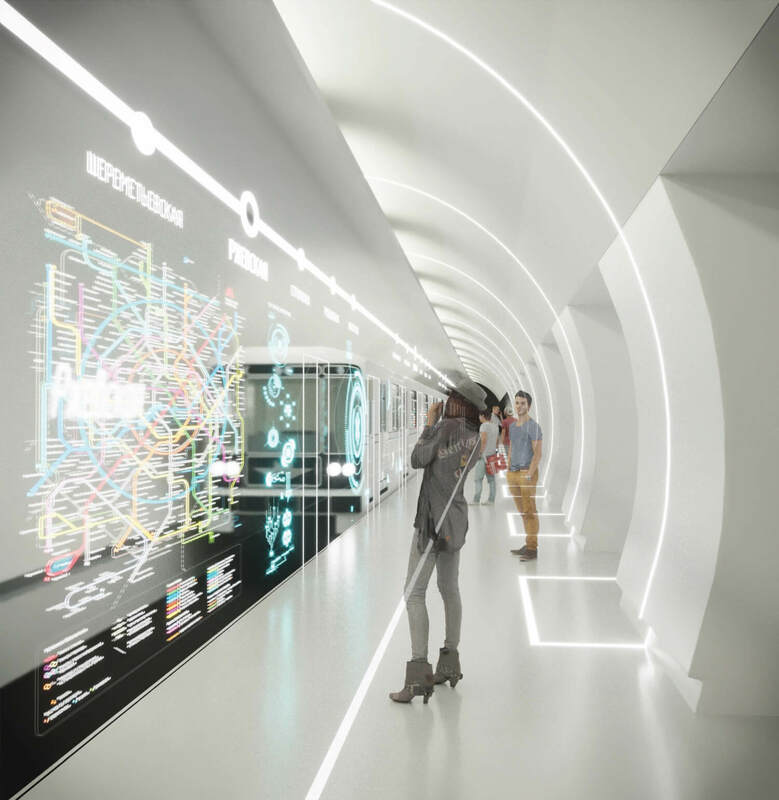 When developing the Moscow Metro concept, our team followed four main goals. The first was to increase the feeling of comfort for passengers in the subway. 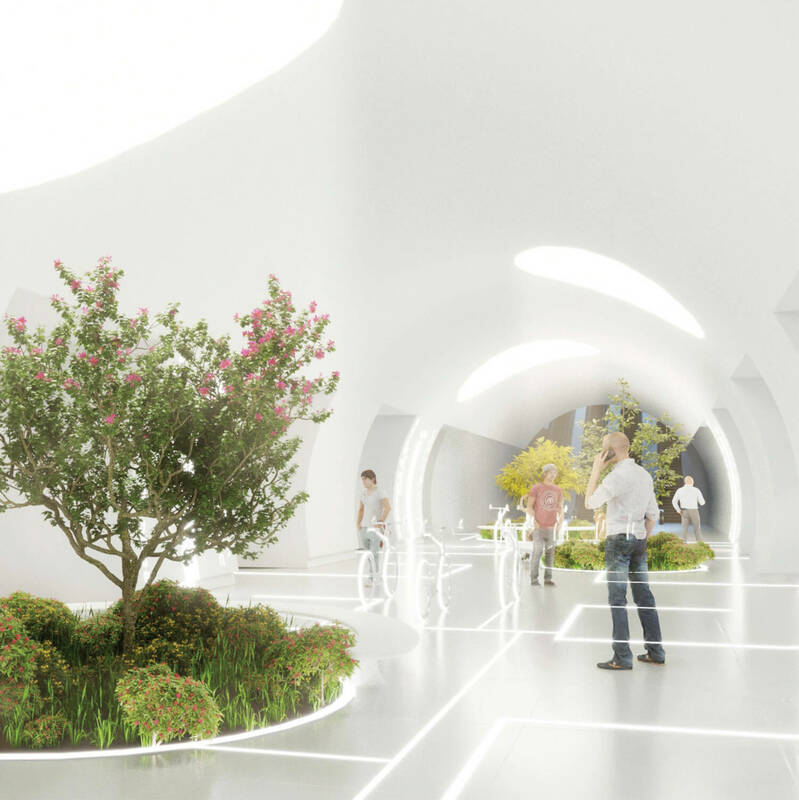 To achieve our goal, we tried to connect the concept of ground and underground, to implement a natural environment for passengers in closed space. We also decided not to separate this approach for each station, as these cannot be detached from any context. The second aim was to improve the safety of passengers. This was achieved by enclosing the platform from the tunnel by glass partitions with automatic doors. 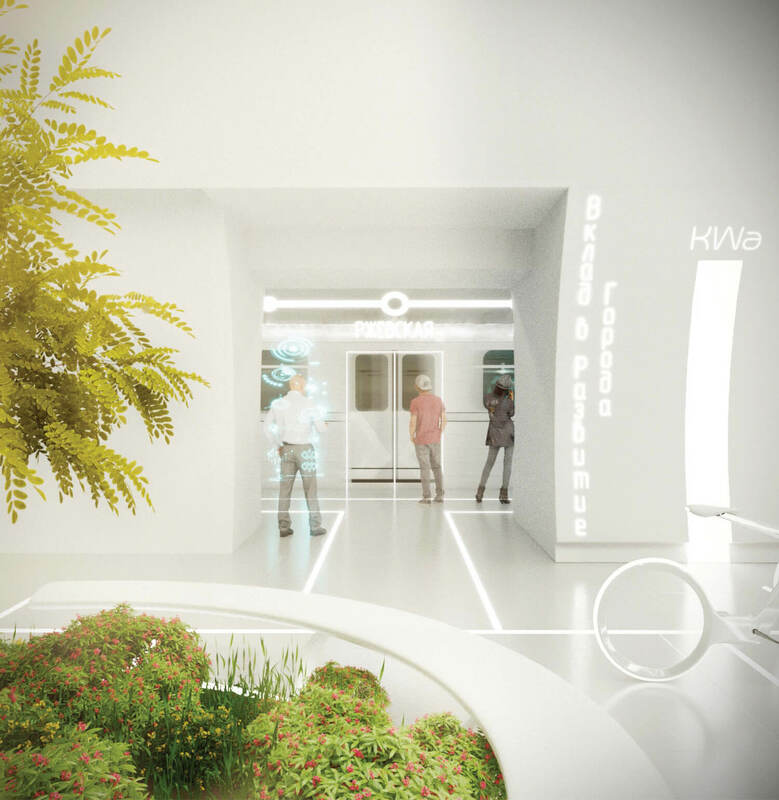 OLED-displays with touch-screen are installed into a glass wall. The display presents different navigation and information for passengers, while they are waiting for a train. Next, we wanted to increase citizen’s sense of responsibility towards the city. 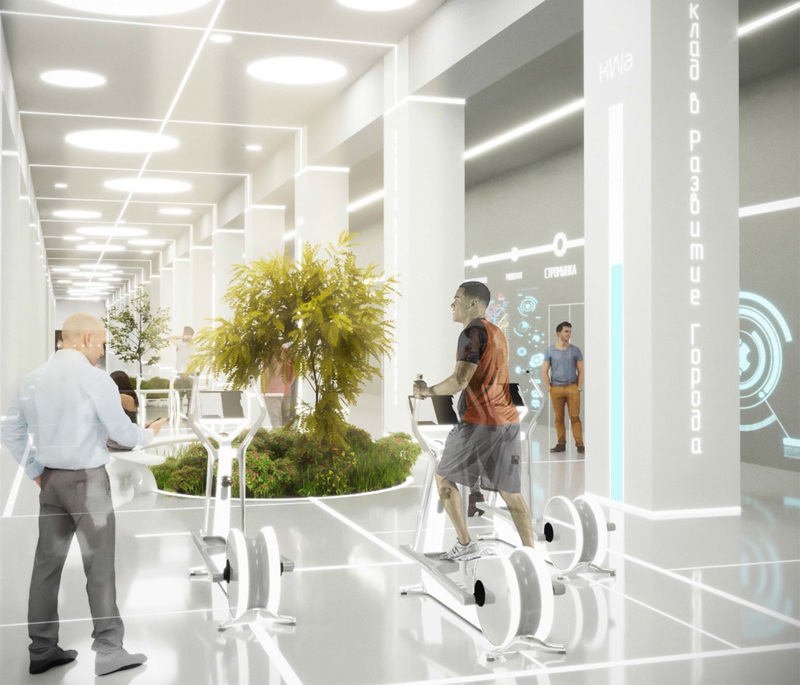 For this, we suggested equipping the station with the spinning bicycles, which produce energy during exploitation. 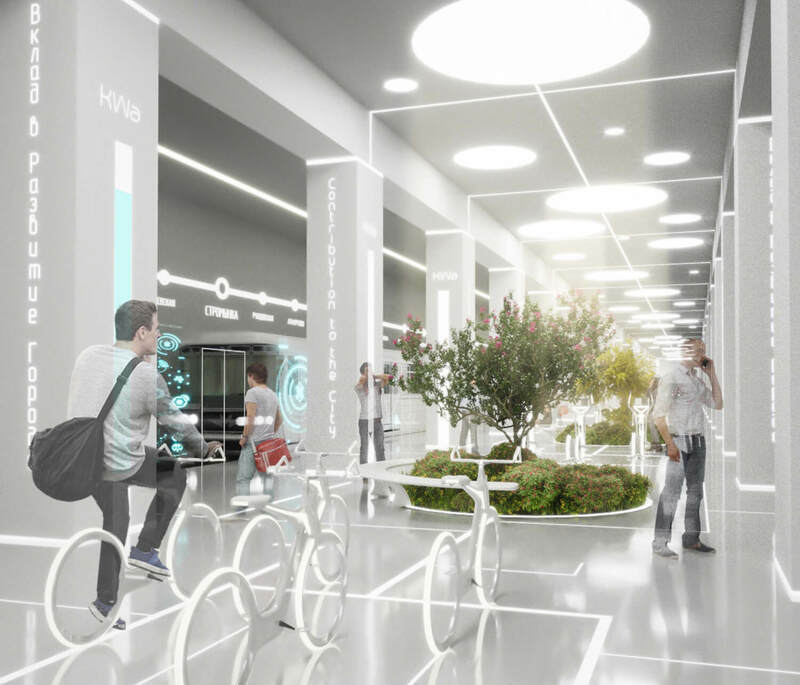 Energy from the bicycles can be used for lighting plants. 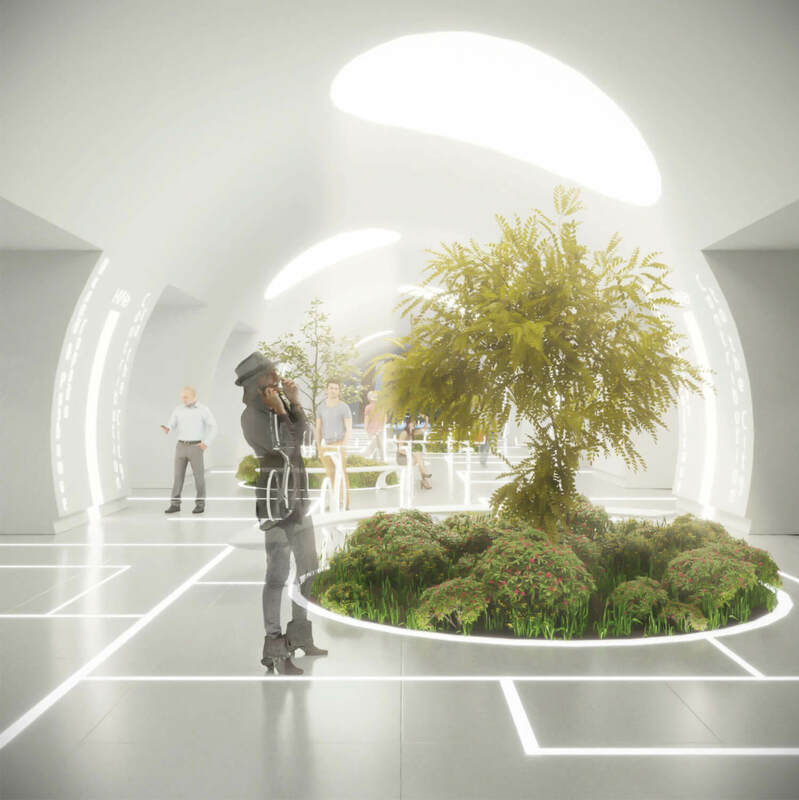 It will allow each passenger to contribute for the development of urban ecology and at the same time take care of their health. And the last task for us was to achieve the maximum effect of naturalness. For that, we arranged green spaces and lighting with a non-standard solution. We arranged LED lighting system with full spectrum included, for plant growth. The light system that we chose allows creating the so-called “natural light ” which is the closest to the spectrum of sunlight.